“My whole life, I have used the power of networks and technology to improve my life and the lives of others,” she says. And she tells us how she started her business without money, from home, with just a laptop and the internet. She describes how successful the project has been in the MENA region and says “after improving the model in Palestine, I want to help more women and youth to be connected with job opportunities around world. 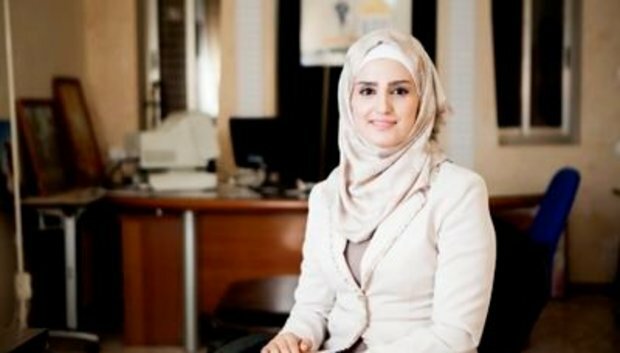 “In MENA, high unemployment is considered the biggest challenge – especially among women. Women’s unemployment in MENA is almost double men’s unemployment. Arab Women today are more educated than ever before, but their participation in the workforce is about half of the world average. “As many women in the Arab World live in cultures with: conservative attitudes; restriction on women’s geographic mobility; and limitations in career and job choices. This leads many to take the option of marrying and staying home to raise children. In addition, within the culture of the Arab World, many types of jobs are considered inappropriate for females, such as work in construction, technical and engineering professions. “Working online is an option that allows women to not have to choose between work and marriage. Working online gives them a chance to experience both.